While all of our units are well built, they sometimes require a quick check, a little adjustment, or a simple repair. That is what our Service Department is here for! 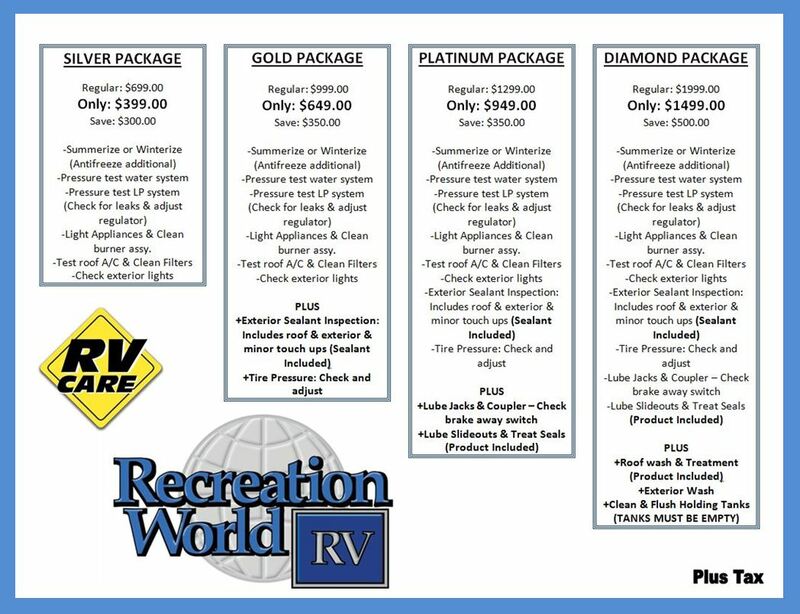 At Recreation World RV it is our commitment to relieve you of your technical difficulties from the simplest to the most complicated of tasks. We are here ready to serve you so please book your appointment today! exterior slide gaskets are rubber and should be conditioned every 3-4 months, they will harden if not conditioned regularly; slide rails also need to be cleaned and lubricated every 3-4 months. jacks need to be cleaned and lubricated every 3-4 months to prevent dirt and debris from building up and working its way up into the jack assembly. to achieve maximum performance and longer battery life, fluid levels in wet cell batteries should be topped-off at least once a month, both when the RV is in use and when it is stored - the posts/terminals should be cleaned every 12 months and an anti-corrosive spray applied. 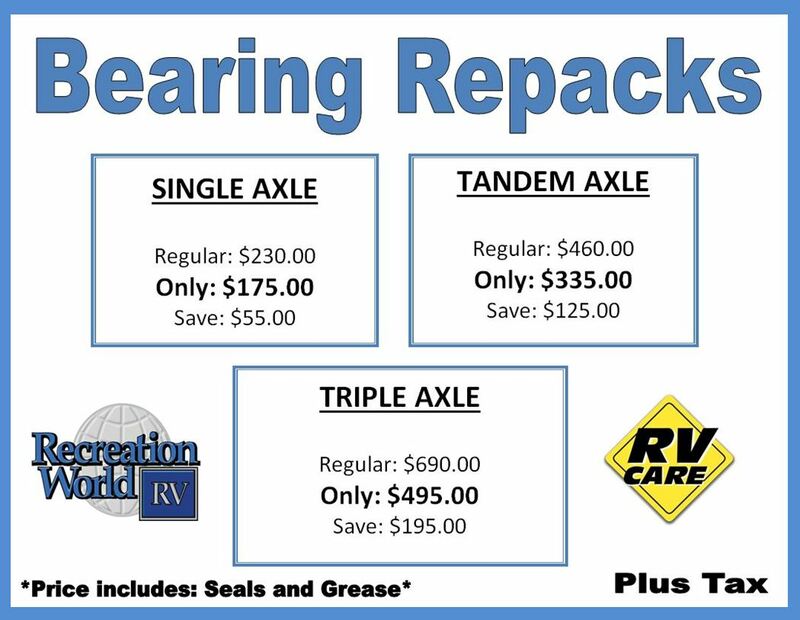 manufacturers recommend that tires be replaced when they become 7 years old regardless of the condition they appear to be in from the outside, many come apart from areas not visible to us.